This photograph shows inmates John L. Finley, prisoner number 9485, and George Sherrow, prisoner number 9500. John L. Finley was received at the Kansas State Penitentiary on October 10, 1900 from Greer County, Oklahoma for stealing domestic animals. 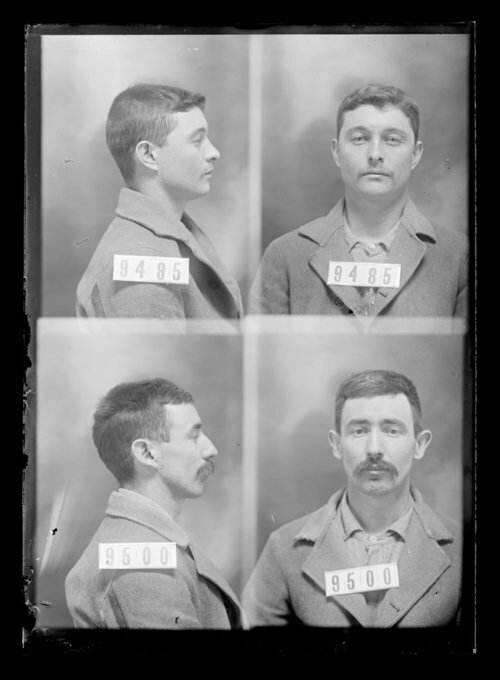 George Sherrow was received at the penitentiary on October 26, 1900 from Reno County, Kansas for grand larceny. He was sentenced on September 13, 1900.